Representatives of the Community Mine Continuation Agreement in South Fly, Middle fly and the mine villages have met and agreed on a number of positions concerning the ownership of the 63.4 per cent shareholding in Ok Tedi Mining Limited. They made this known through a media release on Sunday (yesterday). The CMCA statement represents over 110,000 people. 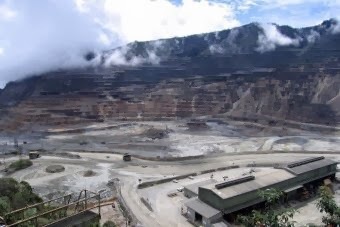 It was revealed a letter was written to the Prime Minister concerning the 63.4 per cent of the shares in Ok Tedi Mining Ltd.
Their demands include for the whole 63.4 per cent shareholding to be given back to them; all the dividends to be paid directly to CMCA and mine villages. They claim the distribution of dividends is part of the environmental compensation to CMCA people and Mine Villages. They want a halt to all payment and use dividends of the 2012 by any person or body other than the CMCA Mine village communities; and an immediate halt to all dealings in the 63.4 per cent shareholding pending outcome of meeting with the Prime Minister. And in the interim, they demand the immediate transfer of the 2.5 per cent shareholding plus any other outstanding commitments of the 2006 - 2007 CMCA review outcomes.